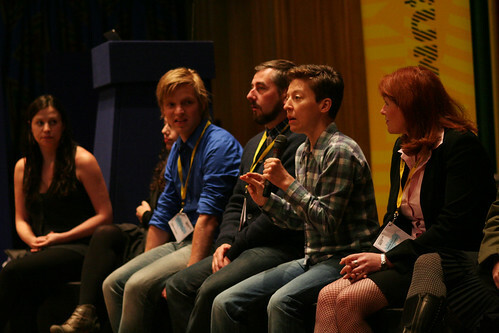 Panel discussion at MuseumNext 2011 in Edinburgh. Photo: MuseumNext. Intercom 2012. From 26-28 November in Sydney some of the world’s brightest museum innovators will discuss the challenges museums face nowadays. Amongst many, many others my idol David Fleming of Museum Liverpool will talk about museums and human rights, and Marsha Semmel of the Institute for Museum and Library Services will discuss the 21st century skills for museum professionals. I’ll be part of a panel and running a masterclass on digital strategy. Add great social events in a beautiful city and this is an event not to be missed! Proposals for MuseumNext 2013. The biggest European museum innovation conference is coming to Amsterdam, my hometown, on 13-14 May 2013. MuseumNext’s programme is participatory, which means you can tell the world about your very best project, idea or experiment and have feedback from 100s of professionals. From experience I can tell that MuseumNext can be a turning point in a career and project. The deadline for submissions is 1 November, so make sure you’re in! Nothing beats spending some time away from a computer and if – as with conferences – this time is shared with bright and friendly people, this time might be more productive than office time as well. If you want me to convince your boss of this, drop me a line, I’d love to see you in Sydney or Amsterdam!